This module focuses on parenthood as a developmental task of adulthood. Parents take on new roles as their children develop, transforming their identity as a parent as the developmental demands of their children change. The main influences on parenting, parent characteristics, child characteristics, and contextual factors, are described. Identify and describe the stages of parenthood. Identify and describe the influences on parenting. Think back to an emotional event you experienced as a child. How did your parents react to you? Did your parents get frustrated or criticize you, or did they act patiently and provide support and guidance? Did your parents provide lots of rules for you or let you make decisions on your own? Why do you think your parents behaved the way they did? Psychologists have attempted to answer these questions about the influences on parents and understand why parents behave the way they do. Because parents are critical to a child’s development, a great deal of research has been focused on the impact that parents have on children. Less is known, however, about the development of parents themselves and the impact of children on parents. Nonetheless, parenting is a major role in an adult’s life. Parenthood is often considered a normative developmental task of adulthood. Cross-cultural studies show that adolescents around the world plan to have children. In fact, most men and women in the United States will become parents by the age of 40 years (Martinez, Daniels, & Chandra, 2012). People have children for many reasons, including emotional reasons (e.g., the emotional bond with children and the gratification the parent–child relationship brings), economic and utilitarian reasons (e.g., children provide help in the family and support in old age), and social-normative reasons (e.g., adults are expected to have children; children provide status) (Nauck, 2007). Parenthood is undergoing changes in the United States and elsewhere in the world. Children are less likely to be living with both parents, and women in the United States have fewer children than they did previously. The average fertility rate of women in the United States was about seven children in the early 1900s and has remained relatively stable at 2.1 since the 1970s (Hamilton, Martin, & Ventura, 2011; Martinez, Daniels, & Chandra, 2012). Not only are parents having fewer children, the context of parenthood has also changed. Parenting outside of marriage has increased dramatically among most socioeconomic, racial, and ethnic groups, although college-educated women are substantially more likely to be married at the birth of a child than are mothers with less education (Dye, 2010). Parenting is occurring outside of marriage for many reasons, both economic and social. People are having children at older ages, too. Despite the fact that young people are more often delaying childbearing, most 18- to 29-year-olds want to have children and say that being a good parent is one of the most important things in life (Wang & Taylor, 2011). Table 1. Demographic Changes in Parenthood in the United States 1. Ventura & Bachrach, 1999 2. Martinez, Daniels, & Chandra, 2012 3. Hamilton, Martin, & Ventura, 2012 4. Cohn, Passel, Wang, & Livingston, 2011 5. U.S. Decennial Census (1890-2000). 6. Wetzel, J. R. (1990). Galinsky (1987) was one of the first to emphasize the development of parents themselves, how they respond to their children’s development, and how they grow as parents. Parenthood is an experience that transforms one’s identity as parents take on new roles. Children’s growth and development force parents to change their roles. They must develop new skills and abilities in response to children’s development. Galinsky identified six stages of parenthood that focus on different tasks and goals (see Table 2). As prospective parents think about and form images about their roles as parents and what parenthood will bring, and prepare for the changes an infant will bring, they enter the image-making stage. Future parents develop their ideas about what it will be like to be a parent and the type of parent they want to be. Individuals may evaluate their relationships with their own parents as a model of their roles as parents. The second stage, the nurturing stage, occurs at the birth of the baby. A parent’s main goal during this stage is to develop an attachment relationship to their baby. Parents must adapt their romantic relationships, their relationships with their other children, and with their own parents to include the new infant. Some parents feel attached to the baby immediately, but for other parents, this occurs more gradually. Parents may have imagined their infant in specific ways, but they now have to reconcile those images with their actual baby. In incorporating their relationship with their child into their other relationships, parents often have to reshape their conceptions of themselves and their identity. Parenting responsibilities are the most demanding during infancy because infants are completely dependent on caregiving. The authority stage occurs when children are 2 years old until about 4 or 5 years old. In this stage, parents make decisions about how much authority to exert over their children’s behavior. Parents must establish rules to guide their child’s behavior and development. They have to decide how strictly they should enforce rules and what to do when rules are broken. The interpretive stage occurs when children enter school (preschool or kindergarten) to the beginning of adolescence. Parents interpret their children’s experiences as children are increasingly exposed to the world outside the family. Parents answer their children’s questions, provide explanations, and determine what behaviors and values to teach. They decide what experiences to provide their children, in terms of schooling, neighborhood, and extracurricular activities. By this time, parents have experience in the parenting role and often reflect on their strengths and weaknesses as parents, review their images of parenthood, and determine how realistic they have been. Parents have to negotiate how involved to be with their children, when to step in, and when to encourage children to make choices independently. Parents of teenagers are in the interdependent stage. They must redefine their authority and renegotiate their relationship with their adolescent as the children increasingly make decisions independent of parental control and authority. On the other hand, parents do not permit their adolescent children to have complete autonomy over their decision-making and behavior, and thus adolescents and parents must adapt their relationship to allow for greater negotiation and discussion about rules and limits. During the departure stage of parenting, parents evaluate the entire experience of parenting. They prepare for their child’s departure, redefine their identity as the parent of an adult child, and assess their parenting accomplishments and failures. This stage forms a transition to a new era in parents’ lives. This stage usually spans a long time period from when the oldest child moves away (and often returns) until the youngest child leaves. The parenting role must be redefined as a less central role in a parent’s identity. Despite the interest in the development of parents among lay people and helping professionals, little research has examined developmental changes in parents’ experience and behaviors over time. Thus, it is not clear whether these theoretical stages are generalizable to parents of different races, ages, and religions, nor do we have empirical data on the factors that influence individual differences in these stages. On a practical note, how-to books and websites geared toward parental development should be evaluated with caution, as not all advice provided is supported by research. Parenting is a complex process in which parents and children influence one another. There are many reasons that parents behave the way they do. The multiple influences on parenting are still being explored. Proposed influences on parental behavior include 1) parent characteristics, 2) child characteristics, and 3) contextual and sociocultural characteristics (Belsky, 1984; Demick, 1999) (see Figure 1). Parents bring unique traits and qualities to the parenting relationship that affect their decisions as parents. These characteristics include the age of the parent, gender, beliefs, personality, developmental history, knowledge about parenting and child development, and mental and physical health. Parents’ personalities affect parenting behaviors. Mothers and fathers who are more agreeable, conscientious, and outgoing are warmer and provide more structure to their children. Parents who are more agreeable, less anxious, and less negative also support their children’s autonomy more than parents who are anxious and less agreeable (Prinzie, Stams, Dekovic, Reijntjes, & Belsky, 2009). Parents who have these personality traits appear to be better able to respond to their children positively and provide a more consistent, structured environment for their children. Parents’ developmental histories, or their experiences as children, also affect their parenting strategies. Parents may learn parenting practices from their own parents. Fathers whose own parents provided monitoring, consistent and age-appropriate discipline, and warmth were more likely to provide this constructive parenting to their own children (Kerr, Capaldi, Pears, & Owen, 2009). Patterns of negative parenting and ineffective discipline also appear from one generation to the next. However, parents who are dissatisfied with their own parents’ approach may be more likely to change their parenting methods with their own children. Parenting is bidirectional. Not only do parents affect their children, children influence their parents. Child characteristics, such as gender, birth order, temperament, and health status, affect parenting behaviors and roles. For example, an infant with an easy temperament may enable parents to feel more effective, as they are easily able to soothe the child and elicit smiling and cooing. On the other hand, a cranky or fussy infant elicits fewer positive reactions from his or her parents and may result in parents feeling less effective in the parenting role (Eisenberg et al., 2008). Over time, parents of more difficult children may become more punitive and less patient with their children (Clark, Kochanska, & Ready, 2000; Eisenberg et al., 1999; Kiff, Lengua, & Zalewski, 2011). Parents who have a fussy, difficult child are less satisfied with their marriages and have greater challenges in balancing work and family roles (Hyde, Else-Quest, & Goldsmith, 2004). Thus, child temperament is one of the child characteristics that influences how parents behave with their children. Another child characteristic is the gender of the child. Parents respond differently to boys and girls. Parents often assign different household chores to their sons and daughters. Girls are more often responsible for caring for younger siblings and household chores, whereas boys are more likely to be asked to perform chores outside the home, such as mowing the lawn (Grusec, Goodnow, & Cohen, 1996). Parents also talk differently with their sons and daughters, providing more scientific explanations to their sons and using more emotion words with their daughters (Crowley, Callanan, Tenenbaum, & Allen, 2001). The parent–child relationship does not occur in isolation. Sociocultural characteristics, including economic hardship, religion, politics, neighborhoods, schools, and social support, also influence parenting. Parents who experience economic hardship are more easily frustrated, depressed, and sad, and these emotional characteristics affect their parenting skills (Conger & Conger, 2002). Culture also influences parenting behaviors in fundamental ways. Although promoting the development of skills necessary to function effectively in one’s community is a universal goal of parenting, the specific skills necessary vary widely from culture to culture. Thus, parents have different goals for their children that partially depend on their culture (Tamis-LeMonda et al., 2008). For example, parents vary in how much they emphasize goals for independence and individual achievements, and goals involving maintaining harmonious relationships and being embedded in a strong network of social relationships. These differences in parental goals are influenced by culture and by immigration status. Other important contextual characteristics, such as the neighborhood, school, and social networks, also affect parenting, even though these settings don’t always include both the child and the parent (Brofenbrenner, 1989). For example, Latina mothers who perceived their neighborhood as more dangerous showed less warmth with their children, perhaps because of the greater stress associated with living a threatening environment (Gonzales et al., 2011). Many contextual factors influence parenting. Many factors influence parenting decisions and behaviors. These factors include characteristics of the parent, such as gender and personality, as well as characteristics of the child, such as age. The context is also important. The interaction among all these factors creates many different patterns of parenting behavior. Furthermore, parenting influences not just a child’s development, but also the development of the parent. As parents are faced with new challenges, they change their parenting strategies and construct new aspects of their identity. The goals and tasks of parents change over time as their children develop. Article: “Is a Child's Behavior Always a Reflection of His Parents?” - This article is written by Dr. Peggy Drexler and discusses the notion that child behavior is not always a reflection of parenting. Article: “Parent behavior toward first and second children” - This journal article describes how parents behave differently and the same with their first and second born children. This is an interesting read to learn more about parenting behavior and how it changes based on a child characteristic, birth order. Org: American Psychological Association (APA), Parenting - Parenting is a psychology topic explored by APA. They state that, “Parenting practices around the world share three major goals: ensuring children’s health and safety, preparing children for life as productive adults and transmitting cultural values. A high-quality parent-child relationship is critical for healthy development.” This webpage links to articles to support these goals. Org: Society for the Research in Child Development (SRCD) - SRCD works to coordinate and integrate research in human development. It aims to assist in the dissemination of research findings and in this way can be a great resource to teachers and students. Web: NPR, Parenting - National Public Radio presented interesting stories on many topics related to child development. The page linked here has many stories on parenting. Web: PBS Parents: Child Development - PBS has some interesting resources for parents including articles, games and products. This is a good resource for students looking for some friendly and less psychology based sources that they can read or share with their own families. Reflect on the way you were raised. Consider the parenting behaviors (e.g., rules, discipline strategies, warmth, and support) used in your household when you were a child. Why do you think your parents behaved this way? How do these factors fit with the influences on parenting described here? Provide specific examples of multiple influences on parenting. Think about different parents and grandparents you know. Do the challenges they face as parents differ based on the age of their children? Do your observations fit with Galinsky’s stages of parenting? What type of parent do you envision yourself becoming? If you are a parent, how do you parent your child/children? How do you think this is similar to or different than the way you were raised? What influences exist in your life that will make you parent differently from your own parents? Stage from approximately 2 years to age 4 or 5 when parents create rules and figure out how to effectively guide their children’s behavior. The idea that parents influence their children, but their children also influence the parents; the direction of influence goes both ways, from parent to child, and from child to parent. Stage at which parents prepare for a child to depart and evaluate their successes and failures as parents. Stage during pregnancy when parents consider what it means to be a parent and plan for changes to accommodate a child. Stage during teenage years when parents renegotiate their relationship with their adolescent children to allow for shared power in decision-making. Stage from age 4or 5 to the start of adolescence when parents help their children interpret their experiences with the social world beyond the family. Stage from birth to around 18-24 months in which parents develop an attachment relationship with child and adapt to the new baby. A child’s innate personality; biologically based personality, including qualities such as activity level, emotional reactivity, sociability, mood, and soothability. Belsky, J. (1984). The determinants of parenting: A process model. Child Development, 55, 83–96. Bronfenbrenner, U. (1989). Ecological systems theory. In R. Vasta (Ed. ), Annals of Child Development, Vol. 6 (pp. 187–251). Geenwich, CT: JAI Press. Clark, L. A., Kochanska, G., & Ready, R. (2000). Mothers’ personality and its interaction with child temperament as predictors of parenting behavior. Journal of Personality and Social Psychology, 79, 274–285. Cohn, D., Passel, J., Wang, W., & Livingston, G. (2011). Barely Half of U.S. Adults are Married – A Record Low. Social & Demographic Trends. Washington, DC: Pew Research Center. Conger, R. D., & Conger, K. J. (2002). Resilience in Midwestern families: Selected findings from the first decade of a prospective longitudinal study. Journal of Marriage and Family, 64, 361–373. Crowley, K., Callanan, M. A., Tenenbaum, H. R., & Allen, E. (2001). Parents explain more often to boys than to girls during shared scientific thinking. Psychological Science, 12, 258–261. Demick, J. (1999). Parental development: Problem, theory, method, and practice. In R. L. Mosher, D. J. Youngman, & J. M. Day (Eds. ), Human Development Across the Life Span: Educational and Psychological Applications (pp. 177–199). Westport, CT: Praeger. Dye, J. L. (2010). Fertility of American women: 2008. Current Population Reports P20-563. Retrieved on May 18, 2012 from www.census.gov/prod/2010pubs/p20-563.pdf. Eisenberg, N., Fabes, R. A., Shepard, S. A., Guthrie, I.K., Murphy, B.C., & Reiser, M. (1999). Parental reactions to children’s negative emotions: Longitudinal relations to quality of children’s social functioning. Child Development, 70, 513-534. Eisenberg, N., Hofer, C., Spinrad, T., Gershoff, E., Valiente, C., Losoya, S. L., Zhou, Q., Cumberland, A., Liew, J., Reiser, M., & Maxon, E. (2008). Understanding parent-adolescent conflict discussions: Concurrent and across-time prediction from youths’ dispositions and parenting. Monographs of the Society for Research in Child Development, 73, (Serial No. 290, No. 2), 1-160. Galinsky, E. (1987). The Six Stages of Parenthood. Cambridge, MA: Perseus Books. Grusec, J. E., Goodnow, J. J., & Cohen, L. (1996). Household work and the development of concern for others. Developmental Psychology, 32, 999–1007. Hamilton, B. E., Martin, J. A., & Ventura, S. J. (2011). Births: Preliminary data for 2010. National Vital Statistics Reports, 60(2). Hyattsville, MD: U.S. Department of Health and Human Services. Hyde, J. S., Else-Quest, N. M., & Goldsmith, H. H. (2004). Children’s temperament and behavior problems predict their employed mothers’ work functioning. Child Development, 75, 580–594. Kerr, D. C. R., Capaldi, D. M., Pears, K. C., & Owen, L. D. (2009). A prospective three generational study of fathers’ constructive parenting: Influences from family of origin, adolescent adjustment, and offspring temperament. Developmental Psychology, 45, 1257–1275. Martinez, G., Daniels, K., & Chandra, A. (2012). Fertility of men and women aged 15-44 years in the United States: National Survey of Family Growth, 2006-2010. National Health Statistics Reports, 51(April). Hyattsville, MD: U.S., Department of Health and Human Services. Nauck, B. (2007). Value of children and the framing of fertility: Results from a cross-cultural comparative survey in 10 societies. European Sociological Review, 23, 615–629. Prinzie, P., Stams, G. J., Dekovic, M., Reijntjes, A. H., & Belsky, J. (2009). The relations between parents’ Big Five personality factors and parenting: A meta-analytic review. Journal of Personality and Social Psychology, 97, 351–362. Ventura, S. J., & Bachrach, C. A. (1999). Nonmarital childbearing in the United States, 1940-1999. National Vital Statistics, 48, No. 16. Hyattsville, MD: National Center for Health Statistics. Wang, W., & Taylor, P. (2011). For Millennials, parenthood trumps marriage. Washington, DC: Pew Research Center. Wetzel, J. R. (1990). American Families: 75 Years of change. Washington, DC: Bureau of Labor Statistics. 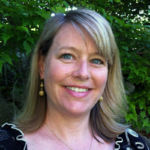 Marissa L. Diener, developmental psychologist and Associate Professor in the Department of Family & Consumer Studies at the University of Utah, enjoys teaching courses in parenting and child development. Her research examines individual differences in socioemotional development of children, parent-child attachment relationships, and parenting quality. She is the recipient of the University of Utah Distinguished Teaching and Service Awards. The Developing Parent by Marissa L. Diener is licensed under a Creative Commons Attribution-NonCommercial-ShareAlike 4.0 International License. Permissions beyond the scope of this license may be available in our Licensing Agreement.